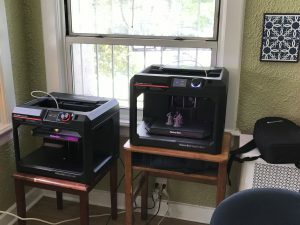 By adopting the established turnkey layout, equipment, and curriculum for School Fab Labs provided by Fab Lab Connect, Fontbonne Hall Academy now has a simple and motivational way for its teachers to relay to students many of the high tech skills useful for jobs and daily life of the future. 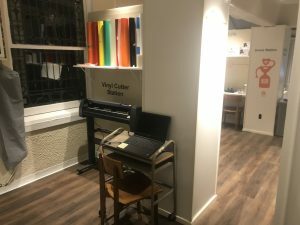 Over the summer, one of the school’s library spaces was transformed into the modern School Fab Lab, organized with multi-use seating areas, and individual Stations designated for each function such as Vinyl Cutting, Electronics & Robotics, 3D Printing, Woodshop, and Virtual Reality. 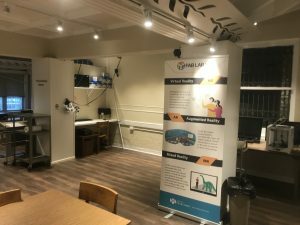 Watch the “before and after” video of Fontbonne Hall Academy’s School Fab Lab Installation. 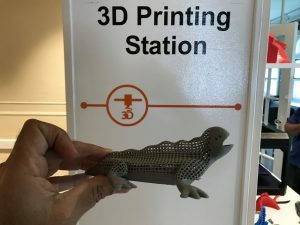 One of the students’ first accomplishments was with the Makerbot 3D printing machines, printing a few items including a blue elephant, the school mascot! Simple tasks give confidence to accomplish more complicated, high-end achievements. 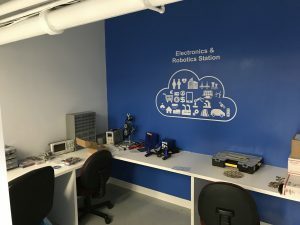 Eventually, through the school year, the curriculum will include programming drones with Tynker, learning to compare virtual reality headsets, and coding robots – to start with things such as telling the robot to introduce itself. 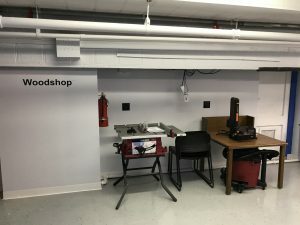 One of the bigger goals in connecting technology with education for the Fontbonne Hall Academy and School Fab Lab is to have developers work directly with teachers. 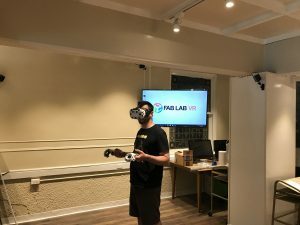 Stay tuned as we present the progress and projects of this and other School Fab Labs.